We have recently celebrated the International Day of the Girl by launching our #IAMGB video which helps us to reflect on how girls all round the world are given HOPE through their contact with GB. But GB does not only reach young women who are members of our organisation. GB groups all around the world find ways to bring HOPE to young people who are not part of the GB family. Our sisters in GB Northern Ireland have been doing this in a very special way. 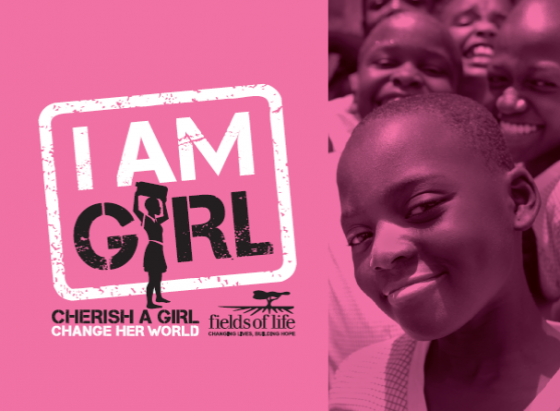 They have partnered with FIELDS OF LIFE engaging with their I AM GIRL project. The money they have raised has enabled 228 hygiene kits to be distributed to girls in schools in East Africa. The I AM GIRL project is committed to ensuring girls are empowered to complete their education and to grow into strong, healthy young women who have the potential to be change agents in their families, communities and nations. The project aims to educate girls within their school network in East Africa, to address the challenges faced by young girls today. GBNI are excited about the possibilities of extending their support and plan next to raise funds to help build a school in Uganda! ………… But we know GBNI are not the only people who are demonstrating their heart to reach out. Please send us your stories – big or small – to encourage others and so we can pray for you and those you serve. GB makes a difference!